Formerly known as Bombay, all of the extreme contradictions of India are at their most extreme here. Skyscrapers shine in the financial heart of Mumbai while dust swarms in the slums. Street bazaars sell traditional wares while shopping malls are sprouting up and filling with international brands. But wherever you are, there’s plenty of color, friendly people, and a few things to surprise, confuse, and delight your senses. 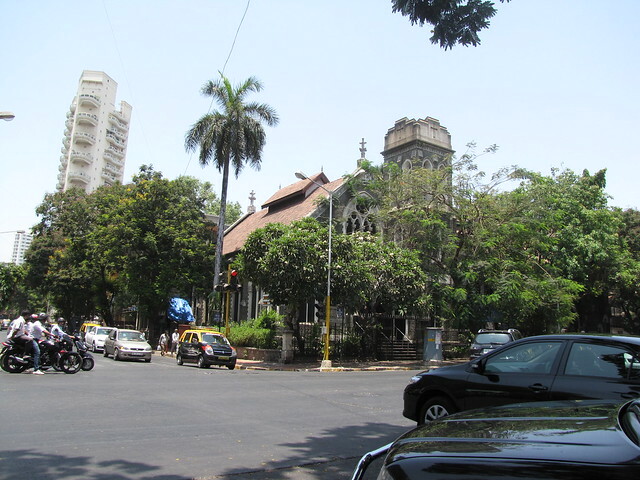 Bollywood, the center of Indian cinema and one of the world’s largest film producing areas, is located in Mumbai. You can take in all the action of Indian cinema on a tour of Film City or just by stopping catching a movie at one of Mumbai’s many theaters. Many languages are spoken here. 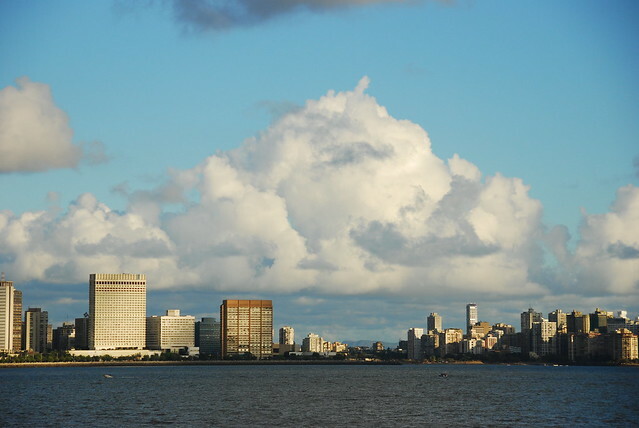 Marathi is the official language of Mumbai, but Bambaiya Hindi and English are also commonly spoken, in fact, many residents of Mumbai speak all three of these languages. Other regional languages like Tamil, Kannada, and Sindhi (among others) can be heard, too. Some of the best (and cheapest) food in Mumbai can be found at street carts. Vada pav, potato stuffed in bread, is everywhere and a uniquely Mumbai treat. Bhelpuri, a dish of vegetables, puffed rice, and tamarind sauce is another street food unique to Mumbai. You’ll also find plenty of the same dishes you’ll find on street corners throughout India such as samosas (fried pastry filled with a spicy filling of potatoes and vegetables). Marathi cuisine, the food of the Maharashtria of which Mumbai is the capital, is defined by staple foods of bread and rice plus plenty of vegetables and thick sauces, especially curry. Marathi cuisine is also known for its wide variety of snack-y foods, small plates, and appetizers. Thalipeeth (a spicy pancake), onion fritters, and surali wadi (chickpea rolls garnished with coriander and coconut are all common Marathi sides or snacks. In between the street food stalls, bicyclists, motorbikes, and pedestrians that fill Mumbai, vast, colorful markets appear as if from nowhere. Vendors hawk everything from flowers to handmade crafts to illegal DVDs. Browse the jewelry markets for glittering purple and yellow bangle bracelets, the clothing shops for a dark teal pashmina, or miscellaneous street stalls for handmade notebooks. For excellent souvenirs from India, seek out items that the Indian people would buy. Colorful saris, sweaters, and sandals fill the clothing markets. In many clothing markets, you’ll also find Khadi, a type of Indian homespun cotton, and handmade Khadi clothing.